He was nicknamed The Prince, but Tūhoe legend Tui Teka lived his life as the king of Māori entertainment. He was the ultimate showband performer, able to play a multitude of instruments, act, and sing anything from country and western and rock'n'roll to love ballads and waiata, interspersed with side-splitting comedy. Tui Teka, or Tui Latui as he sometimes billed himself, was born on March 8, 1937 in Ruatahuna, a small Urewera settlement on the unsealed road between Wai-O-Tapu and Wairoa. His mother played mouth organ and clarinet and his father was a saxophonist with a bush band deep in the heart of Tūhoe country. He was said to be playing guitar and saxophone by age three. Tui Teka refined his talents at local woolshed dances as a teenager before joining a circus in the early 1950's, which took him across the Tasman. In Australia Tui quickly graduated from sweeping up after the elephants to singing and performing, and he learned showmanship traveling round the continent. In 1959 Teka joined The Royal Samoans and Maoris, which was soon renamed The Maori Troubadours. The band recorded the classic rock and roll single ‘Shakin’ in the Shaky Isles’, an EP of Māori songs, and the album A Little This … A Little That, all in 1960. He kept his new act on the road, traveling with a convoy of cars, trucks and caravans around the fairs and showgrounds. A typical ad promised, “enchanting music, exotic island dances, wonderful singing and a fast moving comedy show,” and he kept his tent full day after day. His stage wardrobe was often as memorable as his songs, and what he lacked in vocal skills he made up for with onstage charisma. He would stand up in front of crowds, flashing a toothy grin, swaying and shimmying his oversized body in rhinestone jackets and custom-made embroidered shirts as he threw tongue-in-cheek quips to the audience. In 1966 Tui decided he’d had enough of showgrounds, and joined the Maori Volcanics just in time for a tour to Japan. That led to further work through Asia, the Middle East, Europe, the United Kingdom, the United States, the Caribbean and of course the Pacific. When the Volcanics broke up for the first time after a farewell tour of New Zealand, Tui went solo, returning to the clubs of Australia and Southeast Asia. He also struck up a relationship with Terence O’Neil-Joyce’s Ode label, putting out a series of singles and albums, starting in 1972 as the Tui Teka Five with ‘Something to Believe In’, ‘For the Life of Me’, 1973’s ‘Il Silenzio’ (a remake of Italian trumpeter Nini Rosso’s 1965 hit, ‘E Hine Hoki’) and ‘Smoke Gets in Your Eyes’. In 1976 he released the live Prince Tui Teka in Fiji album capturing his stage show, and an album of Māori songs. After a six year recording break Tui signed with major label RCA and returned to the charts with ‘E Ipo’, a song Ngoi Pewhairangi wrote for him to woo beloved wife and singing partner Missy, who he married in 1976. He had moved back permanently to New Zealand in 1981, settling in Tokomaru Bay. He also moved into film and television work. As well as variety shows he acted in partly Kiwi-shot mini-series Jack Holborn (1982), and played the king of a mythical Pacific Island in big-budget Tommy Lee Jones swashbuckler Savage Islands (1983). Tui Teka also had a small role in boy-and-a-turtle tale The Silent One (1984). As well as appearing on screen, Tui Teka sang on two tracks for classic Ronald Hugh Morrieson comedy Came A Hot Friday: the Stephen McCurdy composed songs 'Work for the Money' and 'Out in the Cold' (the latter is collected on Tui Teka compiliation The Greatest). 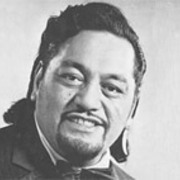 Prince Tui Teka died of a heart attack during a performance in the Ruawai Tavern in Northland in 1985. He was survived by daughters Davinia and Missy Jnr and his wife Missy, who died in 2008.